LG is an electronics manufacturer known for their range of home and kitchen appliances that includes semi-automatic washing machines. 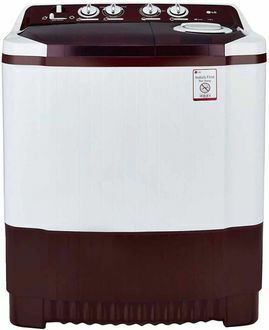 In semi-automatic machines, the washing is done in one drum, and the user needs to manually transfer the washed clothes to an adjoint drum that will remove as much moisture as possible from clothes. These machines are cost-effective or cheaper and suited to those who do not want to splurge on a fully automatic machine but are just as capable. 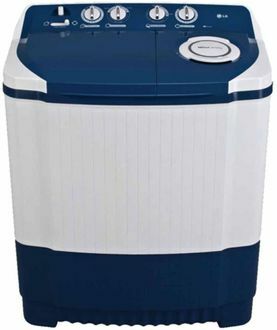 These washing machines come equipped with many features commonly seen in all washing machines such as delicate, quick and heavy-duty wash settings. These are also provided with larger drums, which can wash large loads. 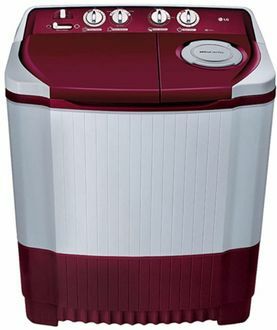 These relatively cheaper washing machines have been listed at their best price from stores across India in this price list of LG semi-automatic washing machines. 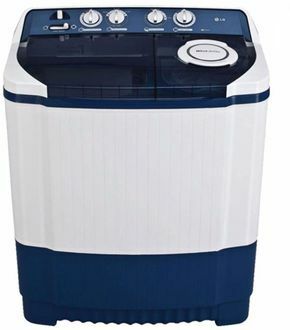 24 Semi-automatic washing machines are available for sale and are displayed at their best price, which was last updated on 20th April 2019. 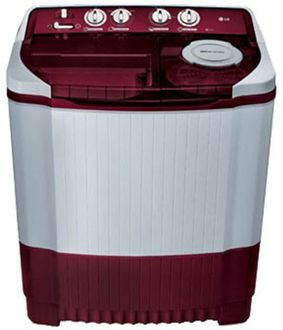 Buying a semi-automatic washing machine is now simpler and convenient with mysmartprice. These washing appliances clean your clothes to the standards with safe and gentle wash programs available. The Special lint collector removes the lint and ensures a longer life. The Jet pulsator air dry function removes moisture to a maximum extent and reduces the time for manual air dry. Have a look at all these specifications in detail, read what the user has their opinion on a particular model through the user reviews. Have a look at the images and decide on the model. Compare the price and buy from the stores like Flipkart, Amazon at the lowest price. A 5-year warranty is available on the products that you can claim against any defects.